To my knowledge the korma or khurma recipes are the origin of Mughal times. However the korma recipes whether in vegetarian or non vegetarian sides, they are very popular in Northern and southern sides of India. Earlier I have posted Beetroot korma. 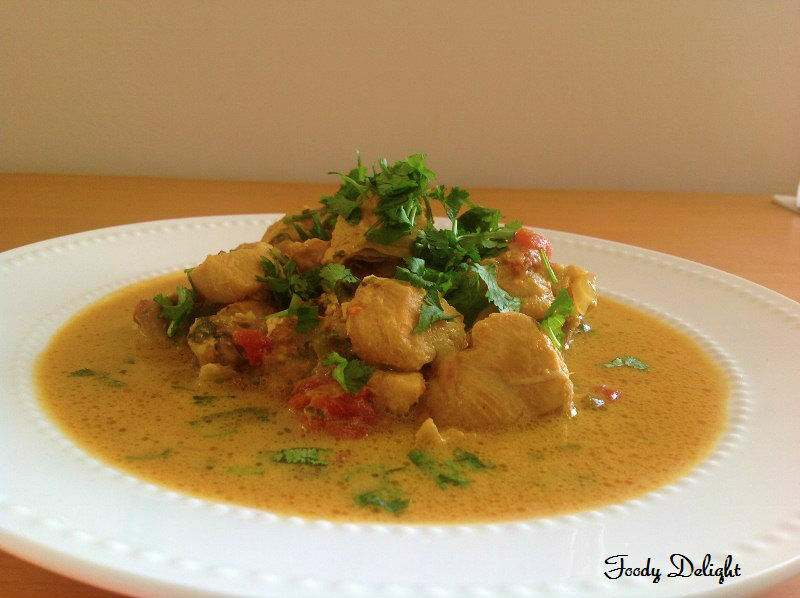 Today I am gonna share Chicken korma. The key ingredient to this recipe is grounded coconut or coconut milk. Chicken korma is very easy to prepare, tastes delicious with any kind of Indian bread or simply with plain rice. Clean the chicken and cut it into medium pieces. Heat oil into pressure cooker and add cloves, cinnamon and cardamom. Saute for 1 minute. Then add thinly sliced onion and fry till it is light brown in colour. Then add ginger garlic paste.Saute till raw smell goes off. Add chicken pieces, slitted green chillies, coconut paste and curd. Mix everything well and cook for 5 minutes with continuously stirring. Then add 1 cup of water and close down the lid. Wait till you listen 8 to 10 whistles. Turn off the flame and allow the pressure to release out. Open the lid and add chopped tomato and chopped cilantro, cook again on medium low flame for 5 to 10 minutes. 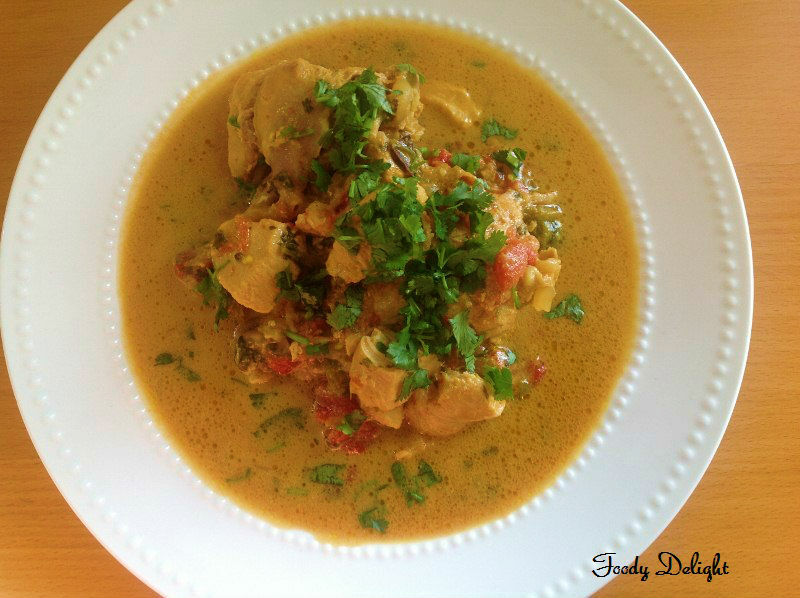 Chicken korma is ready to serve. 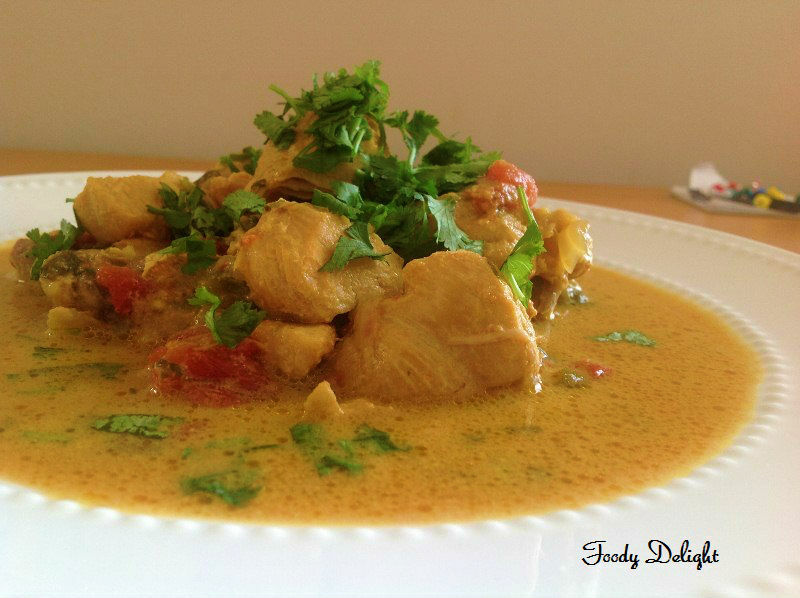 At the time of serving ,squeeze lemon juice into korma and mix well and serve as the side dish with bread or rice. Delicious and flavorful Korma.. Nice click too..
Korma looks awesome..:) Lovely preparation.. Irresistible Kurma, love with some rotis.